Total ankle arthroplasty (TAA) is an alternative to arthrodesis, but no randomized trial has examined whether a fixed bearing or mobile bearing implant provides improved gait mechanics. 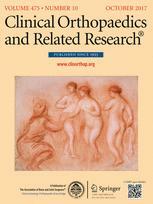 We wished to determine if fixed- or mobile-bearing TAA results in a larger improvement in pain scores and gait mechanics from before surgery to 1 year after surgery, and to quantify differences in outcomes using statistical analysis and report the standardized effect sizes for such comparisons. 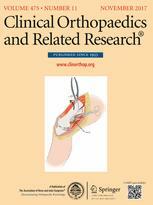 Patients with end-stage ankle arthritis who were scheduled for TAA between November 2011 and June 2013 (n = 40; 16 men, 24 women; average age, 63 years; age range, 35–81 years) were prospectively recruited for this study from a single foot and ankle orthopaedic clinic. During this period, 185 patients underwent TAA, with 144 being eligible to participate in this study. Patients were eligible to participate if they were able to meet all study inclusion criteria, which were: no previous diagnosis of rheumatoid arthritis, a contralateral TAA, bilateral ankle arthritis, previous revision TAA, an ankle fusion revision, or able to walk without the use of an assistive device, weight less than 250 pounds (114 kg), a sagittal or coronal plane deformity less than 15°, no presence of avascular necrosis of the distal tibia, no current neuropathy, age older than 35 years, no history of a talar neck fracture, or an avascular talus. Of the 144 eligible patients, 40 consented to participate in our randomized trial. These 40 patients were randomly assigned to either the fixed (n = 20) or mobile bearing implant group (n = 20). Walking speed, bilateral peak dorsiflexion angle, peak plantar flexion angle, sagittal plane ankle ROM, peak ankle inversion angle, peak plantar flexion moment, peak plantar flexion power during stance, peak weight acceptance, and propulsive vertical ground reaction force were analyzed during seven self-selected speed level walking trials for 33 participants using an eight-camera motion analysis system and four force plates. Seven patients were not included in the analysis owing to cancelled surgery (one from each group) and five were lost to followup (four with fixed bearing and one with mobile bearing implants). 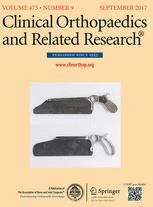 A series of effect-size calculations and two-sample t-tests comparing postoperative and preoperative increases in outcome variables between implant types were used to determine the differences in the magnitude of improvement between the two patient cohorts from before surgery to 1 year after surgery. The sample size in this study enabled us to detect a standardized shift of 1.01 SDs between group means with 80% power and a type I error rate of 5% for all outcome variables in the study. This randomized trial did not reveal any differences in outcomes between the two implant types under study at the sample size collected. In addition to these results, effect size analysis suggests that changes in outcome differ between implant types by less than 1 SD. Detection of the largest change score or observed effect (propulsive vertical ground reaction force [Fixed: 0.1 ± 0.1; 0.0–1.0; Mobile: 0.0 ± 0.1; 0.0–0.0; p = 0.0.051]) in this study would require a future trial to enroll 66 patients. However, the smallest change score or observed effect (walking speed [Fixed: 0.2 ± 0.3; 0.1–0.4; Mobile: 0.2 ± 0.3; 0.0–0.3; p = 0.742]) requires a sample size of 2336 to detect a significant difference with 80% power at the observed effect sizes. 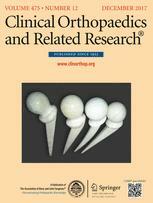 To our knowledge, this is the first randomized study to report the observed effect size comparing improvements in outcome measures between fixed and mobile bearing implant types. This study was statistically powered to detect large effects and descriptively analyze observed effect sizes. Based on our results there were no statistically or clinically meaningful differences between the fixed and mobile bearing implants when examining gait mechanics and pain 1 year after TAA.